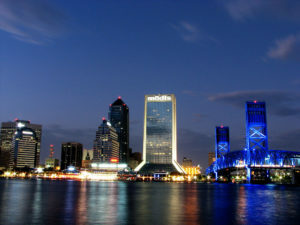 As north Florida’s primary commercial and financial center, Jacksonville, Florida serves as a corporate headquarters for some of the world’s most notable banks and corporations. As such, there is a high demand for Jacksonville corporate housing as various business travelers come to the city for extended stays. For these long-term visitors, choosing the best corporate housing option in Jacksonville presents a challenge. What options are available, what are the benefits of each, and most importantly, how does one manage the cost? Below are a few of the most common options for short-term corporate housing in Jacksonville, each having its own potential benefits and drawbacks. By default, many people look at hotels at a number of different price points when staying in a city other than home. This option is fine for stays of a few days, but once it becomes weeks or months, the costs can really add up. In addition, the standard hotel room frequently lacks in seating and space. While some upscale hotels try to compensate for this detail with a variety of services and amenities, it can still be uncomfortable for extended stays. Specifically designed for travelers planning to stay for a week or longer, extended stay hotels offer a variety of room styles ranging from studios to multi-room suites, frequently offering equipped kitchens or kitchenettes so guests can cook their own food. These hotels range widely in price, but they are still generally quite expensive in comparison to renting an apartment. They also try to accommodate guests with standard hotel amenities, but many corporate travelers don’t use them because they are busy working. Services like AirBnB have gained in popularity in recent years because they allow homeowners to rent out their furnished homes or apartments to visitors as though they were a hotel. In Jacksonville, this option frequently attracts tourists and vacationers, as well as corporate travelers. While this option (when it works properly) can make long-term visitors feel more at home, one main drawback is a lack of accountability that frequently causes the unit to be different or less accommodating than advertised. For example, units might not be kept clean, might not match the photo, and in more extreme casess do not exist at all. Additionally, this option frequently costs about as much as a hotel would. Yet another option for corporate travelers is to stay in designated temporary housing administered by a corporate lodging agency. Many guests find this option highly convenient because they can stay in a fully furnished apartment that feels very much like a home, but for a fraction of the cost of a hotel, and without paying for extra amenities they won’t use. Apartments can be strategically located near the workplace or public transportation, or convenient to amenities like shopping, dining and leisure activities. While these housing options may appeal to different people for different reasons, many corporate travelers find corporate lodging to be the best corporate housing option in Jacksonville. T.P. Corporate Lodging offers a wide range of fully furnished 1, 2 and 3-bedroom apartments, located in some of Jacksonville’s most popular neighborhoods, for remarkably reasonable rates. For details, call us at 800-428-9997. This entry was posted in Blog and tagged corporate housing, jacksonville. Bookmark the permalink.